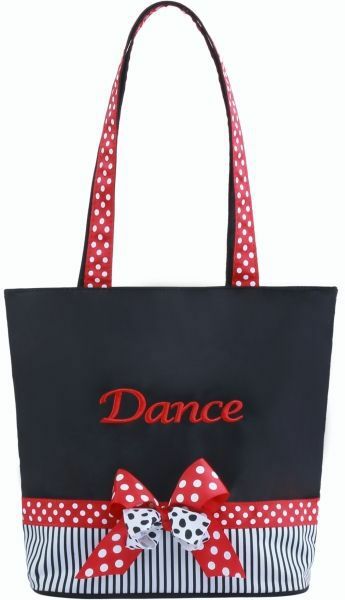 Mindy Collection Small Tote – “Dance” is beautifully embroidered with grosgrain ribbon and bow trim. Screen printed stripes. Microfiber material wipes clean with a damp cloth. Can be personalized.